New and amazing vape pens coming in May! Grown in Holland. Made in USА. Suggested usage: Up to 3 four-second puffs. There’re approximately 200 puffs per vape pen. Optimized formula. 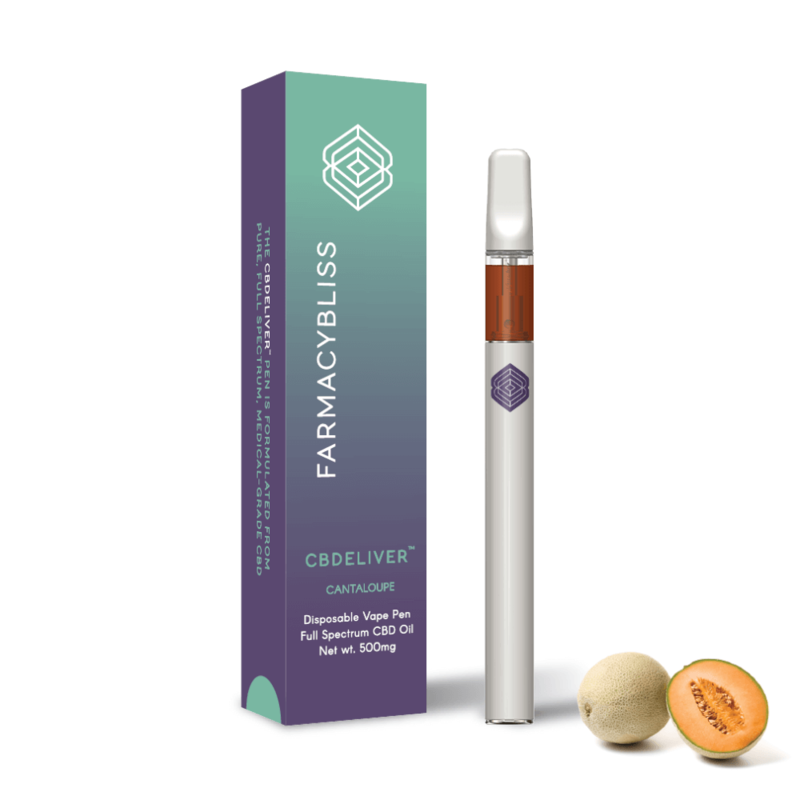 Farmacy Bliss vape pens are filled with our proprietary blend of high concentration, CO2-extracted, full spectrum CBD oil and full spectrum non-cannabis derived terpenes. All of our vape formulations are free of solvents, thinners, and fillers. It’s pure, potent CBD for effective, natural relief. Farmacy Bliss vape products are lab-certified and 100% free of heavy metals, additives, solvents, and pesticides as well as GMO- free, gluten-free, and dairy-free. Vaping provides an effective method of delivering CBD for immediate relief due to its quick absorption. It’s great for providing instantaneous and on-the-go relief from mild anxiety, pain, insomnia, headaches. During vaporization, CBD enters the lungs and diffuses directly into the bloodstream rather than passing through the gut and liver. This allows nearly four times as much CBD to enter circulation for a maximum absorption of roughly 50 – 60%. This means that with vaping, one can achieve almost the same beneficial effects with a much smaller amount of CBD.